Small cracks and stars that are less than 2 inches in diameter in windshields and laminated glass can also be repaired to restore strength to the glass and increase optical clarity. We offer a lifetime money back guarantee on all windshield repairs. Our techs repair windshields all day long, and we are the best at it! We only focus on repairing glass. But many other companies do both replacements and repairs, which we think is a conflict of interest. We won&apos;t ever try to sell you a windshield in an attempt to make more money like some large, national companies you may have seen on TV! What is the Difference Between a Chip & Star? Many people use the terms chip, star and small crack interchangeably, however there is a difference. These terms are used to describe damage to windshields and laminated glass only. If you have any doubt about the damage on your windshield, please call us! 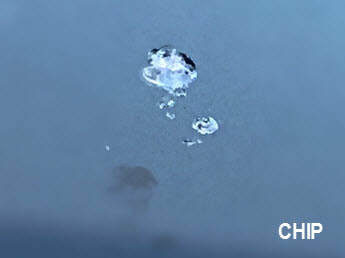 Chip - Damage to a windshield caused by an object impacting it that causes a small piece of glass to come off the windshield surface. In most cases there is no need for repair because there is not any risk of it spreading. Some companies will tell you it needs to be repaired but that simply isn&apos;t true. 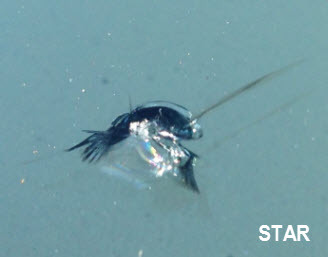 Star or Small Crack - Damage caused by a rock or small object impacting the windshield or laminated glass. You will be able to see a chip and a fracture around the chip. The fracture can be round, elliptical or have lines radiating out from the impact point and often appear black when looking at them from outside of the vehicle. These require immediate attention! Stars and small cracks can generally be repaired if it is less than 2 inches in diameter. If the problem is not repaired soon, the fracture will spread, and the windshield will need to be replaced costing more money. You never want to replace auto glass unless absolutely necessary because you could have problems with seals, wind noise or leaks. But if your windshield has a crack in it that is more than 2 inches long or the crack has spread to the edge of the windshield it will unfortunately need to be replaced. We recommend using Atlanta Glass Services. Need glass replacement for your car? We recommend Atlanta Glass Services! Call (770) 422-7911, or visit their website.